It was spring time, and wildlife was busy. 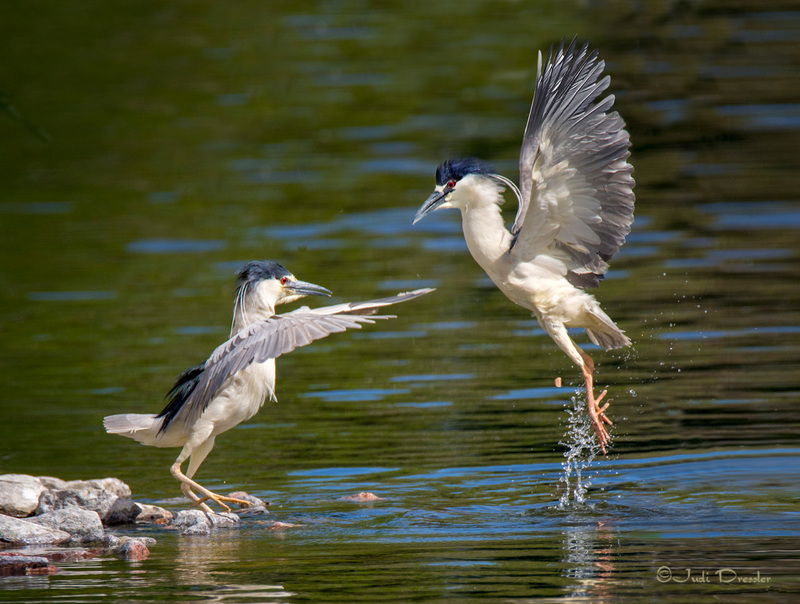 Black-crowned Night-herons and Snowy Egrets were courting, breeding, and nesting in the trees. I had gone to take photos of the nesting part, but happened to see these two Black-crowned Night-herons in a little courtship display nearby. It all happened very fast, so I felt lucky to have noticed it in time to get a photo. Photo taken in Denver City Park, in Spring, 2015. This park has two lakes with small islands in them. The islands have trees where the birds can nest and feel safe from predators.